It’s been over a decade since my first Kzoo, but the congress continues to be a hostile environment for marginalized academics. I would like to ask what many medievalists of color have been asking our colleagues and the institutions that represent us. What has academia lost? What have we lost by allowing racism to hurt people of color? How many talented professionals in various fields have we lost because of racism, sexism, xenophobia, ableism, etc.? For one, we lose the scholarship of those who never return, as Dr. Mary Rambaran-Olm’s essay “Anglo-Saxon Studies, Academia and White Supremacy” demonstrates. Imagine how many gifted but marginalized scholars have fallen to the wayside. ICMS in particular has now lost a valuable scholar, Dr. Seeta Chaganti, who will not return to the conference and has written a strong statement about her experience. Her account offers some examples of how ICMS has chosen to support whiteness and white supremacy. She argues that choosing panels proposed by white scholars over similar panels proposed by medievalists of color reinforces our societal bias in favor of white candidates over a minority.1 And while ICMS has recently offered to revisit the issue of panel selection process, I believe a deeper problem persists in what Dr. Chaganti calls their “miscomprehension of academic freedom,” which “has enabled white supremacy.” Dr. Chaganti’s statement and Dr. Rambaran-Olm’s essay compel me to share my own experiences at the congress and why I stopped attending as a grad student. I share my experiences to add another voice to the conversation. ICMS’s choices have not only affected the field from an institutional level; they have also affected countless individuals who experience harm at ICMS. I have experienced racist incidents every single time I have attended (2007, 2008, 2015 and 2017). Although ICMS is not the only medieval studies conference in which I have experienced racism, it is the site of the most egregious examples of it. It was the conference most in my mind when I wrote briefly about my negative experiences at medieval conferences in a post on why I wanted to open up medieval studies to be more inclusive. The post had the unexpected outcome that young colleagues of color – and not just medievalists – reached out to me with their own stories, expressing that they feel similarly. These young scholars are not interested in leaving the field, they are not going anywhere, but they too want change and accountability from the institutions that represent us as academics. I have heard so many stories from colleagues of color who have been betrayed by academia in general and medieval studies in particular; my story is just one of many. This is what I want to emphasize: my story is just one drop in a sea of racist experiences at ICMS. And my story is not just about experiencing racism but also about being rendered invisible. I began my essay with my first experiences at ICMS; I would like to continue that story. I did not attend ICMS from 2009 to 2015; during that time, I did try to return. In 2011, I had several e-mail conversations asking ICMS to consider an abstract for the general sessions. In those conversations I was misgendered multiple times by two different medievalists associated with the conference. The exchange ended with my not being officially informed of my rejection. In our correspondence, I was misgendered even after I had mentioned I was a woman and even after I had alerted the Director of the Medieval Institute of the way ICMS representatives had treated me by email. In my communications to the Director, I connected the misgendering to my previous experiences of racism at the conference. My correspondence emphasized the harassment I received as a medievalist of color, and their responses simply ignored my comments — not once did they ask about my well-being or for further details. It seems that for them, the various forms of bias I experienced did not constitute evidence of a problematic conference climate in need of examination by its leadership. ICMS failed to acknowledge my concerns. When I tell most white medievalists about these incidents, I find them dismissed once again. I am assured by them that it was all a big misunderstanding, and that I should give ICMS a chance and go back to the conference. Although limiting conference participation can protect medievalists of color emotionally, it can also be detrimental to us professionally. Like other marginalized academics in medieval studies, I closed myself off from the field; I failed to make connections with senior medievalists in my area of expertise and to meet allies who would make medieval studies more welcoming. I lost valuable feedback that would improve my work, and the opportunities to enhance my standing in the field, lowering my chances to succeed in a hostile academic environment. I continued to be a medievalist, but I left medieval studies. Academics of color are vastly underrepresented in tenured and tenure track faculty positions. The National Center for Education Statistics (NCES) points out that “in fall 2015, of all full-time faculty at degree-granting postsecondary institutions, 42 percent were White males, 35 percent were White females, 6 percent were Asian/Pacific Islander males, 4 percent were Asian/Pacific Islander females, 3 percent each were Black females and Black males, and 2 percent each were Hispanic males and Hispanic females.”2 Native Americans made up less than one percent. The numbers are even more dismal for full time professors. For me, it took a Postdoctoral Fellowship with the University of Pennsylvania, my involvement with the Fellowship of Medievalists of Color, and the mentorship of senior medievalists of color to get me back on track. Furthermore, without the Postdoctoral Fellowship, which enhanced my standing within academia and afforded me time to publish, it would have been impossible even to try to integrate, let alone succeed (I begin a tenure track position this August). The reality is that most young scholars of color will not have the opportunities I was afforded. The very real need to protect ourselves from racism by withdrawing from spaces where the potential for harm is high hinders our chances for success. Because of this, in Medieval Studies, ICMS has been at the forefront of limiting the odds of medievalists of color to succeed. Dr. Chaganti’s bravery as well as the mentorship of many colleagues of color have given me the courage to be part of the field and therefore I can no longer stay silent. 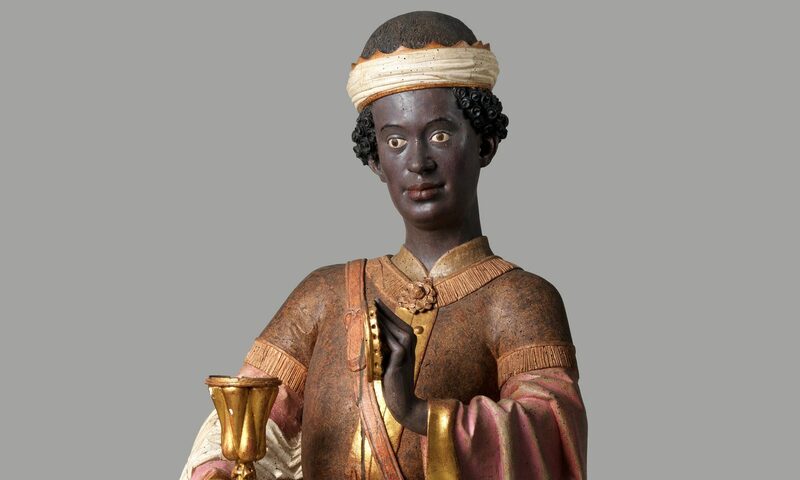 I hope that other medievalists of color speak out about their experiences at ICMS so that the Medieval Institute cannot deny the ways that their actions and their inaction have made it harder for medievalists of color to thrive as medievalists. ICMS’s response to BABEL’s letter of concern proposes a working group that “represents the full breadth of the international community of medievalists” in order to make changes to the congress’ selection process. I also hope that ICMS’s leadership will use this working group to help them describe the concrete steps they are planning to take to ensure medievalists in marginalized positions are not harmed by that very community that ICMS represents. I will ask again, what have ICMS and medieval studies lost because of racism? They have lost an immeasurable amount of research that would have made the field better. They have lost scholars of color who will not return to the field. They have also lost the confidence of countless medievalists such as myself who cannot trust ICMS to hold to their own stated commitments to inclusivity, intellectual freedom, and a safe environment for all their attendees. 2 I think it is important to point out that the data cited above includes “professors, associate professors, assistant professors, instructors, lecturers, assisting professors, adjunct professors, and interim professors” in full time positions not just academics in tenure track positions.